Friday night was the first night I had completely free in what seems like months. 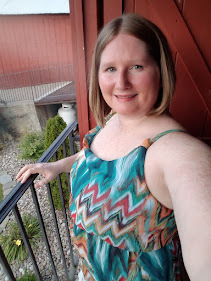 I reflected a lot on "me" time which ultimately turned into "blog" time. When I started this blog it was only planned to be an escape. A place for my voice. It didn't matter if anyone was listening. I just wanted to write. I have never been a great writer. I had started journal after journal with no real direction. I would open a journal and notice my last entry was a year prior. Awesome. I had no memories jotted down to relive. I had no ambition to write. Friday night I re-read all of my previous posts. (There are 48 by the way). It amazed me that I have dedicated myself to this blog. I have started to freeze memories in time, where not only myself, but you as my reader can see. This makes me proud. I have succeed in breaking down a wall and letting my voice be heard. I also noticed my writing getting better. It has more direction. This little realization makes me feel so many emotions. Happy. Excited. Hopeful. All positive thoughts. I never thought I had anything good to write about. I attended my nephew's 2nd birthday party on Saturday. A day trip back home to spend with loved ones. This reminded me that as long as I get out and experience life, I will have something to write about. It inspired me to keep on pushing towards getting better. Keep challenging myself. The words will follow. I spent a good portion of Sunday reading blog after blog. Educating myself on what works and what doesn't. I was exhausted and honestly blogged out. Everyone has a way, or a tip on what you should or shouldn't be doing. I took a break from reading to go to an outdoor play of Shakespeare's Love's Labour's Lost. Watching this comedy written by a man hundreds of years ago make me think. He had a grip on writing epic plays long before we had tips on how to write a great blog. 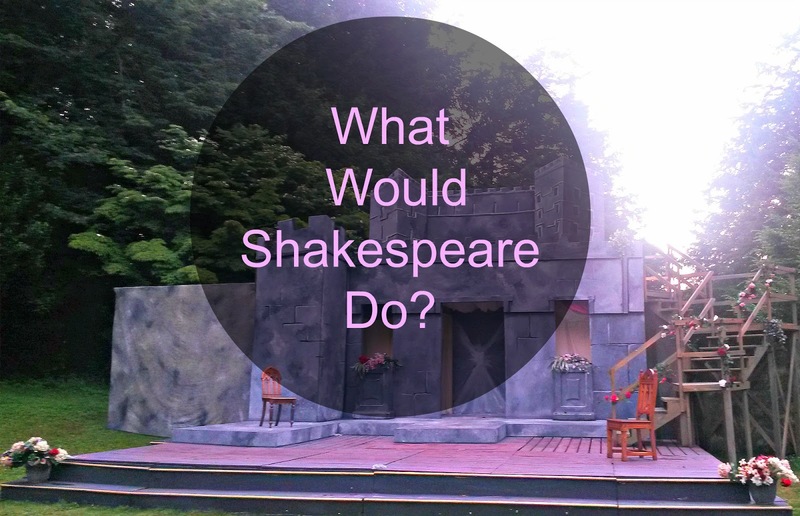 So what would Shakespeare do? I think he would write his little heart out without tips and see where he goes. That's what I concluded with this weekend's lesson. Do what feels right for me and just keep writing. I will keep living life so I can write a out it. Bring more to my to my tiny corner of the internet. Now if you got through all of this and are still with me, thank you. It is quite overwhelming but it absolutely has to be your own voice and thoughts. If you try to do what someone else is doing then you might as well stop and just read blogs. I love your blog though. You have awesome posts! I really do enjoy reading other people's tips however I do go on forever and never really stop until I am sick of it. I need to do it in moderation and then maybe it wouldn't seem so exhausting. Glad you are loving your blog! This is awesome! I think the best piece of advice that I have ever read about blogging was to scrap all of the blogging "must do's" and to just blog it out in accordance to what you want. So happy you sponsored me! I can't wait to see more content! !